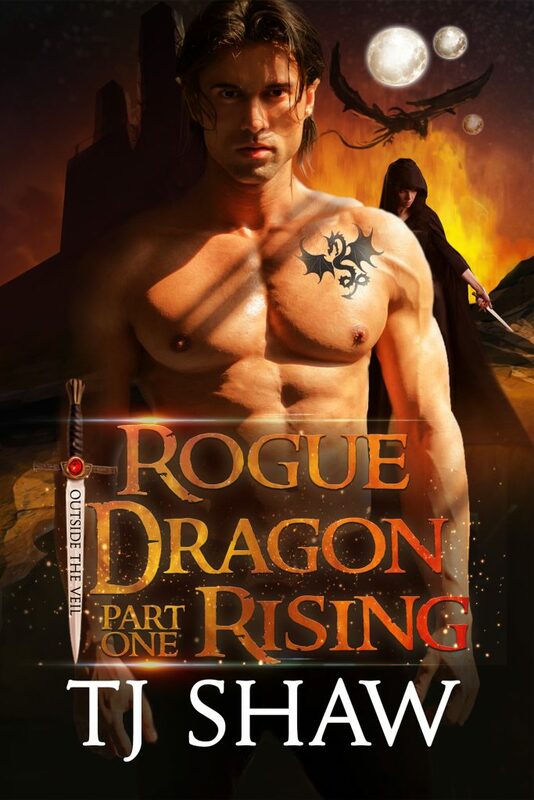 I’m very excited to reveal the cover for my new high‐fantasy dragon shifter romance, Rogue Dragon Rising. I hope to have a release date and more information soon, but until then, please enjoy a first glimpse of Jaxon Blackthorn. Twenty‐three year old, Amari Hawke, is thrust into the world of two‐soul shifters when she is injured and kidnapped by trackers outside the veil, beyond the safety of her homeland. Unable to remember her past, she trusts no one and relies on instinct to survive. As her awakening approaches, the first time she will transition into her animal, she must evade rogue shifters trying to capture her. Now free from the King’s Army, powerful dragon lord, Jaxon Blackthorn, seeks a peaceful life. Intent on building his lands into a viable plantation, away from war and bloodshed, he is reluctantly pulled back into the fight when he defends the mysterious shifter with no past against an unseen enemy. As evil threatens to destroy the entire realm, can the battle‐hardened warrior and coming‐of‐age noblewoman accept their differences to forge an alliance that will ultimately unite the shifter nations?